Do you wish you had lived in the ‘60s so you could have seen pop icons, the Beatles, live in concert? If you had the chance to see them in person, are you feeling nostalgic for the decade? Whichever category you fall into, the Beatles are coming to you live in concert again—and this time in documentary format. Ron Howard’s film Eight Days a Week - The Touring Years was only released in theaters and on Hulu last week, but it’s already set to be available on DVD on November 18. Two versions will be available: You can get the documentary on its own disc, or buy the two-disc bonus features version with a 64-page booklet (score!). But what exactly is a bonus feature? 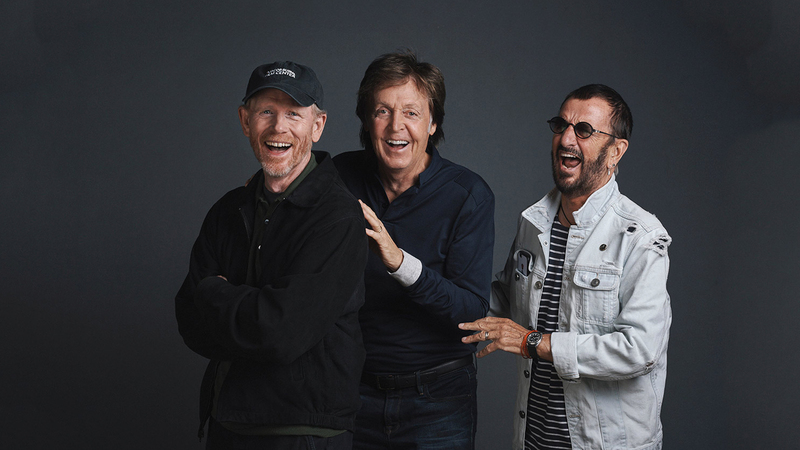 They’ll include an alternate opening scene to the Beatles’ classic movie A Hard Day’s Night and a 24-minute long short about their songwriting process. Clips from the band’s tours to Japan and Australia that were only seen by people who were at the shows are now there for anyone to watch, featuring comments from fellow 1960s star Ronnie Spector from the Ronettes. If you saw the documentary in theaters, you also saw the half-hour long footage of the Beatles’ 1965 concert at Shea Stadium. “Recollections of Shea Stadium” which will also be included in the DVD extras. Streaming is today’s chosen method of watching a movie for most people today, but for the best possible trip back to the ‘60s, getting your hands on the DVD of Eight Days a Week - The Touring Years is the best way to go for footage you’re probably not going to see anywhere else.